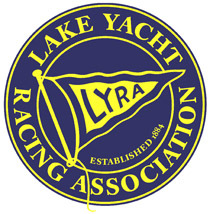 The 132nd Lake Yacht Racing Association Annual Regatta was held at the Whitby Yacht Club during the summer of 2016. Regatta Chair Bart Bies and Race Management Chair Leigh Davidson are to be commended on their work. WYC preparations were outstanding. 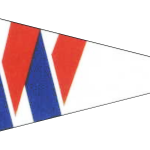 The club members arranged to move their boats to local marinas to accommodate the competitors and everyone had a slip. This of course made the whole experience so comfortable and special. Volunteers ferried guest to and from mass transit locations as well as Farr Island, a floating dock installed for the deep keeled IRC boats. The coordination and dedication of the WYC to the event shined during the 50th anniversary of the clubs founding. Queen City Yacht Club Trophy, Best Elapsed Time, Short Course Overall, Peter Smith on Razorbill. Ashbridges Bay YC Trophy, 1st Place PHRF Division 1, and Best Corrected, Elaine Neely on Cerulean. National Yacht Club Trophy, 1st Place PHRF Division 2, Bob Carey on Marquise. Golden Eagle Trophy, 1st Place PHRF-NFS Division, Les Abrams on Sandpiper.